The structure indicated is the left coronary artery. 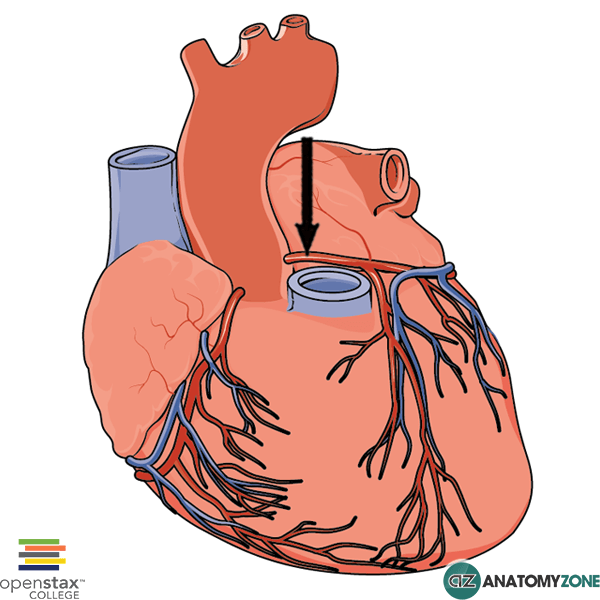 The left circumflex artery (LCX) supplies blood to the posterolateral left ventricle as well as the anterolateral papillary muscle and provides part of the supply to the left ventricle. The left anterior descending artery also supplies the left ventricle, and is responsible for the arterial supply to the anterolateral myocardium, the apex of the heart and the interventricular septum.